Elsa tells it like it is. . HD Wallpaper and background images in the Disney Princess club tagged: photo disney princess elsa snow white cinderella aurora ariel crying you can't marry a man you just met. This Disney Princess photo might contain anime, comic book, manga, cartoon, portrait, headshot, and closeup. 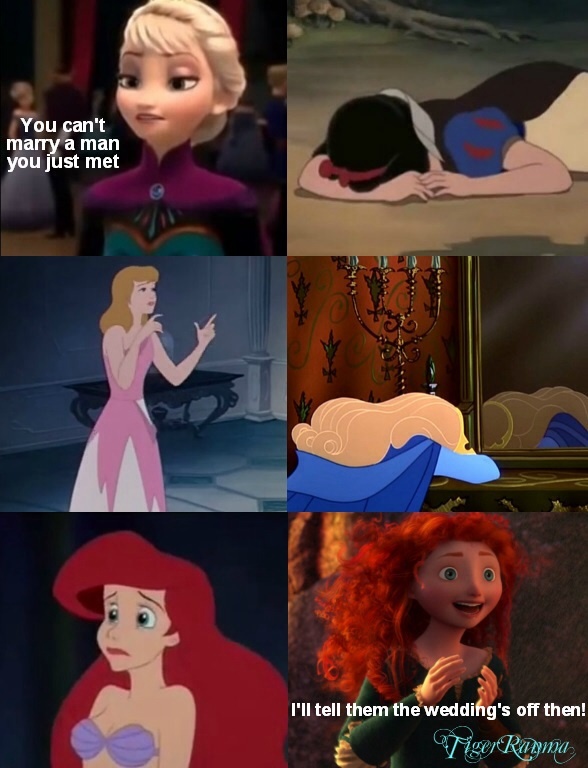 That's why Elsa and Merida keep growing on me. Ha ha ha!!! This is HILARIOUS! Haha lol XD I love it!